There seems to be an unwritten rule that the moment you bring a tiny, innocent human into the world, you start scrutinizing everything in your surrounding environs. Items that once passed muster for you without a second thought are suddenly the worst possible idea for your baby. One of the first areas to go under the microscope is usually personal care products — after all, they go directly on our skin. And while we'll always have a soft spot for drugstore beauty, there's something a bit more reassuring about shopping small in this department. For one, independently owned brands have a greater tendency to err on the side of natural and organic, and there's a whole lot of thought and care behind what's put into their products. Plus, there's the sense of discovery and support for the underdogs that can't be beat. We dug deep to find 12 indie baby beauty brands that should be on every mom's radar; click through to see them all. If you follow any lifestyle mom bloggers, chances are you’ve seen this impeccably designed — and highly Instagrammable — bath care brand in your feed before. The plant-based products are sold both individually and in customizable, cost-saving bundles (the “Basics” gets you a Hair & Body Wash, Everyday Lotion, All Over Ointment and Bubble Bath plus your choice of three extras for $80). Notable picks include the rightfully named Dream Cream ($16), which soothes myriad skin irritations with shea butter and almond oil and the quince-and-honeysuckle­-scented Baby Fresh Spray ($15) for freshening up linens and bodies in between washes. While science has confirmed it’s hard to beat that new-baby smell, the scent of these French-made products on any baby — new or old — comes pretty damn close. The signature orange blossom water fragrance carries through everything in this ultra-luxurious line, from a silky-smooth Gentle Cream ($29) to candles ($36) and even laundry detergent ($26). Although this chicly designed European label has limited distribution in the States, you’ll find the full range online at MineMine Kids, which sells children’s wares from around the globe. We’ve talked about the concept of "mommy and me beauty" before, but you won’t find it better embodied than in this Australian brand. The tightly edited assortment of products centers on sustainably sourced, cold-pressed organic oils. You’ll find them in their purest form in the Motherlover Rejuvenating Body Oil ($33) and Calm It Baby Soothing Oil ($20), which feature camellia seed and olive oils, respectively. There’s also a pair of natural-bristle wood brushes for mother ($14) and child ($17) that help boost circulation, lymphatic drainage and exfoliation. This children's natural hair care brand launched in 1999 with its Rosemary Repel range, which prevents lice with its namesake herb as well as tea tree and geranium oils. 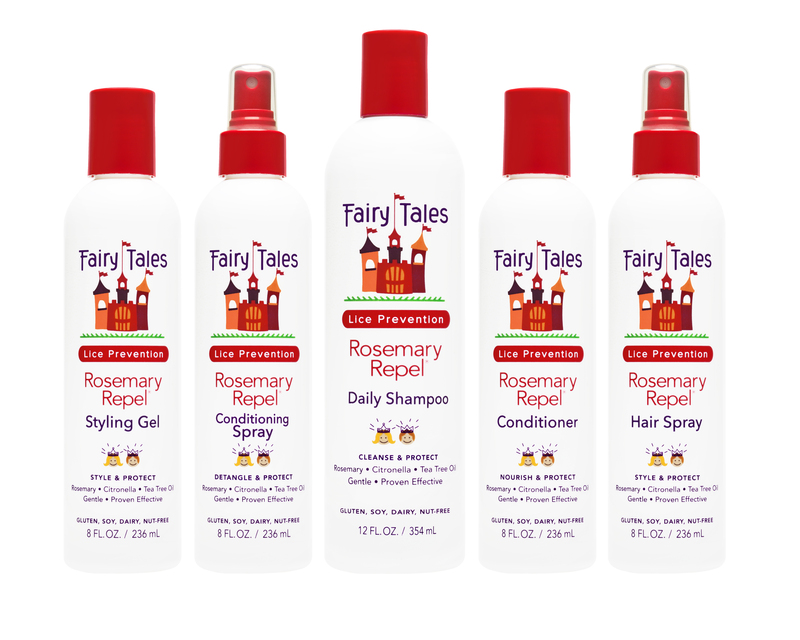 While lice-fighting products are still at the company's core, Fairy Tales has since expanded its scope to tackle more mundane mane problems. To wit, the Sun & Swim collection combats summer's harshest elements, while the Tangle Tamer line makes brushing battles more bearable. If insects are still what ails you, there's also a DEET-free bug spray ($13.95) and bed bug spray ($5.95) that are safe yet totally effective. 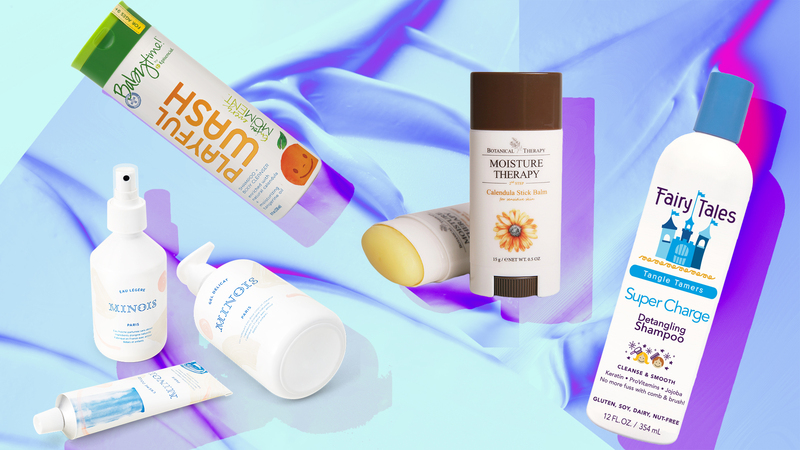 Children's e-tailer JoliMoli is a discovery hub for thoughtfully designed items from under-the-radar brands — not least of which is the site's own curated skin care line. The ultra-gentle cream ($18), lotion ($18), shampoo ($14) and body wash ($16) are formulated with hydrogen water for pH-balanced skin and feature soothing ingredients such as witch hazel and sage flower. Our top pick is the Calendula Stick Balm ($16), which calms chapped lips, noses and cheeks in a single swipe. 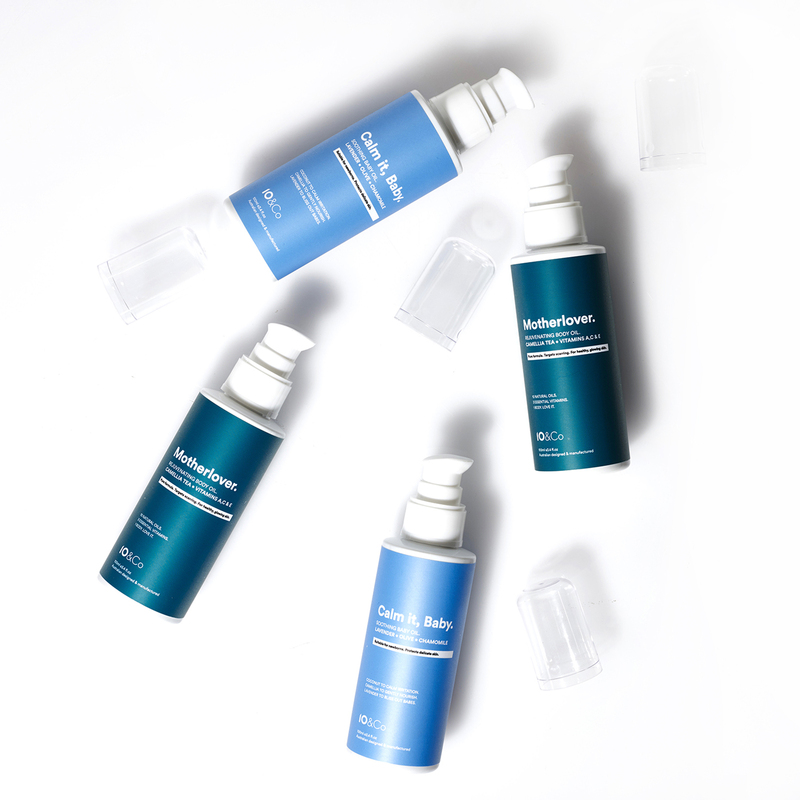 Board-certified dermatologist and mom of two Dr. Amy Kim formulates all the products in her line with hypoallergenic ingredients, right down to the chemical-free Natural Baby Sunscreen SPF 30+ ($24). The brand places a special emphasis on treating common baby skin conditions such as eczema, cradle cap and diaper rash through products such as the Hydrating Ointment ($16.50), Gentle Scalp Lather ($18) and Intensive Bottom Relief ($18), respectively. Education is also central to the company's ethos; as such, kits like the Natural Baby Skin Care Gift Set ($34) come with tip-laden instruction cards new parents will especially appreciate. This California company keeps things simple, from the minimalist packaging that doesn't scream "baby!" to the essentials-only product lineup comprised of Shampoo & Body Wash, Conditioning Cream, Creamsicle Bubble Bath and Baby Lotion. All the items are made in small batches with certified-organic essential oils and live enzymes in lieu of chemical preservatives. Even the pricing structure is uncomplicated: Everything is $22.95. But before you balk at the cost, know that these are 16-ounce bottles that'll last you a lifetime (or, more realistically, a good chunk of babyhood). You may already be familiar with Dapple's spill-proof, travel-friendly baby laundry detergent strips ($9.99), natural dishwasher pods ($8.99) or toy and high chair spray ($11.98), but the company is branching out beyond baby-safe cleaning products with a handful of bath care items launching in August. 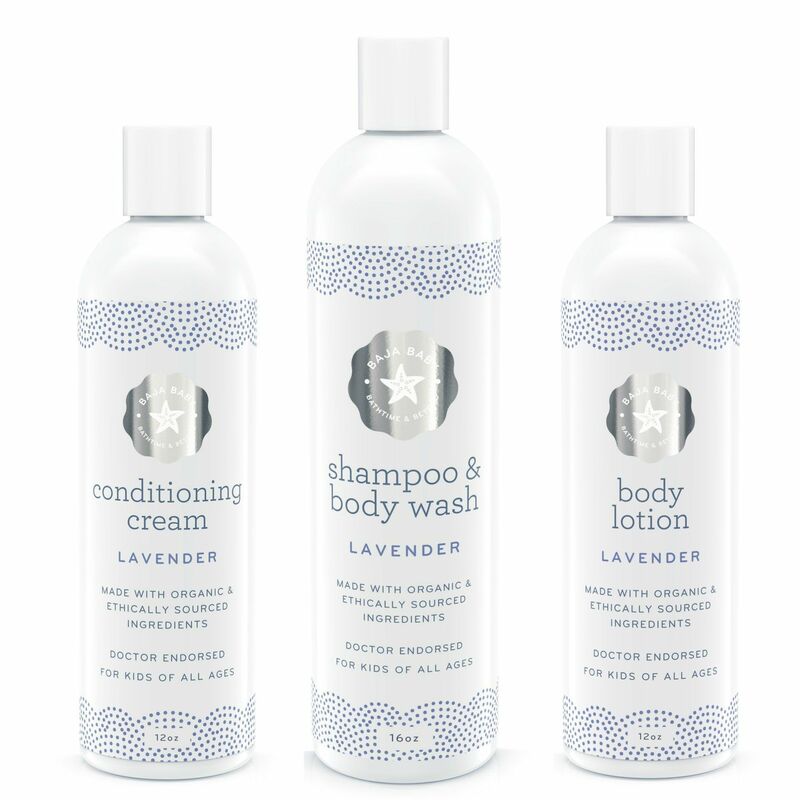 Just like the rest of the line, the Shampoo + Body Wash ($9.99), Bubble Bath ($8.99) and Lotion ($8.99) are formulated with nontoxic, plant-based ingredients as well as prebiotics to help calm skin. Everything comes in two flavors: fragrance-free or lavender, which is a soothing addition to any bedtime routine. This California company will keep your baby — and everything he or she touches — squeaky clean without using any chemicals. Its impressive range of natural household cleaning products goes well beyond the usual Dish & Bottle Soap ($8.95) and laundry detergent ($14.95) to include wood polish ($7.95), glass cleaner ($6.95) and even toilet bowl cleaner ($7.95). Bath time is just as thoroughly covered, with lotion ($8.95), shampoo ($9.45), detangling conditioner ($9.75), bubble bath ($8.95) and a two-in-one wash ($9.75) available in four fragrance options: Happy Tangerine, Calming Lavender, Berry Pomegranate and unscented. The next time you're invited to a baby shower, you'd be wise to remember Little Twig's adorable gift sets ($11.95 – $32.95), which come with the brand's own washcloths, bath mitts and squirt toys shaped like charming insects. Every parent wants the best for their child, but those who want only the purest should look no further than this family-run brand. All Baby Mantra's products are ranked 1 — the cleanest distinction possible — on the Environmental Working Group’s Skin Deep Cosmetics Database, so you can rest easy while slathering its shea butter lotion ($11.99) or diaper rash ointment ($15.99) on your infant. The line — which also includes a calming massage oil ($14.99), low-foaming newborn shampoo and wash ($12.99), three-in-one bubble bath ($14.99) and detangling conditioner ($11.99) — centers on natural, nourishing ingredients such as lavender, aloe vera, coconut oil and shea butter. Bonus: Just like Amazon, this site has a Subscribe & Save option that gets you 5 percent off recurring purchases. Sure, you may give your baby probiotics for digestive health, but have you considered them for healthy skin? That's the premise of this cheerful line, which uses live bacteria and yeast to protect babies' extra-delicate skin barrier from irritation and inflammation. We're partial to the Mighty Shield Lotion ($12.99), which naturally repels bugs using lemongrass, rosemary and linseed oils; the SPF 35 Sunny Sunscreen ($14.99); and Peaceful Bubbles ($10), which uses sugar-based foaming agents for a sweet, hydrating lather. Consider this dad-run company your one-stop shop for safe baby care: You'll find plant-based options for everything from dryer sheets ($7.99) to diapers ($25.99). While the product lineup is fairly exhaustive, some standouts include DEET-free Insect Repellent Wipes ($9.99), a hard-working Stain Eraser Marker ($2.99) you'll want to keep in every closet and the Vapor Bubble Bath ($6.99), which eases congestion with fragrant eucalyptus and menthol.